Gandhi, facing a defamation complaint for his remarks allegedly accusing RSS for assassination of Mahatma Gandhi, has sought its quashing from the apex court which had observed that the leader should not have resorted to “collective denunciation” of an organisation (RSS) and will have to face trial if he does not express regret. 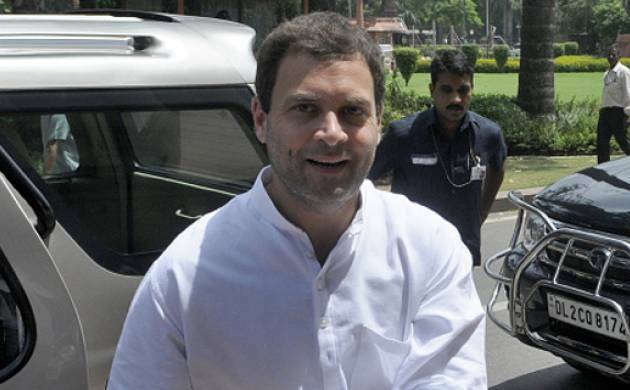 Magistrates cannot ask the police to investigate a private criminal defamation complaint as it is the complainant who needs to prove the case, the Supreme Court today said while prima facie finding fault with a lower court order asking Maharashtra cops to probe the defamation case against Congress Vice President Rahul Gandhi. A bench of Justices Dipak Misra and R F Nariman, at the outset, referred to an earlier judgement delivered on a batch of pleas, including the one filed by BJP leader Subramanian Swamy and Gandhi each, challenging the constitutional validity of penal defamation law and said that police cannot be asked by judicial magistrates to probe a private defamation complaint. It also prima facie found fault with the order of the Maharashtra lower court asking the police to inquire into the allegations against Gandhi and said that instead of “quashing” the case, it may “remand” the matter back to the lower court. “We have said in the Subramanium Swamy case that the police has no role in private criminal complaints...whatever has to be established, it has to be established by the man (complainant) himself. The magistrates cannot call for a report from the police,” the bench said. It asked senior advocate Kapil Sibal, appearing for the Congress leader, to read relevant portions of the judgemnent, penned by Justice Misra, in the Subramanian Swamy case, dealing with the power of police and magistrates in criminal defamation cases. “Police has no role in criminal defamation. It cannot lodge an FIR and a Magistrate cannot seek a inquiry report from police under sections 156 (3) and 202 of the Code of Criminal Procedure. The Magistrate has to himself make inquiry into the allegations...this is altogether a different process,” it said. The bench then deferred the hearing to August 23 and asked the counsel for both sides including senior advocate U R Lalit to address it on legal proposition with regard to power of magistrates and police in such cases.